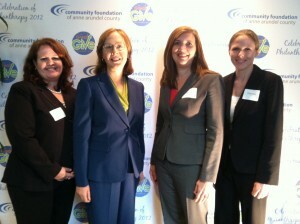 Attorneys (left to right) Paula M. Mattson-Sarli, Colleen Sinclair Prosser, Nicole Livingston and Candice DeMar Joy of SinclairProsser Law attended the annual signature event, Celebration of Philanthropy in Anne Arundel County, on Friday, November 16, 2012, at the Doubletree Hotel on Holiday Court in Maryland. Our region is fortunate to have many fine nonprofit organizations whose missions range from the arts to health care, education, families in crisis, the environment and many others. These groups depend on philanthropic and volunteer support from the community. 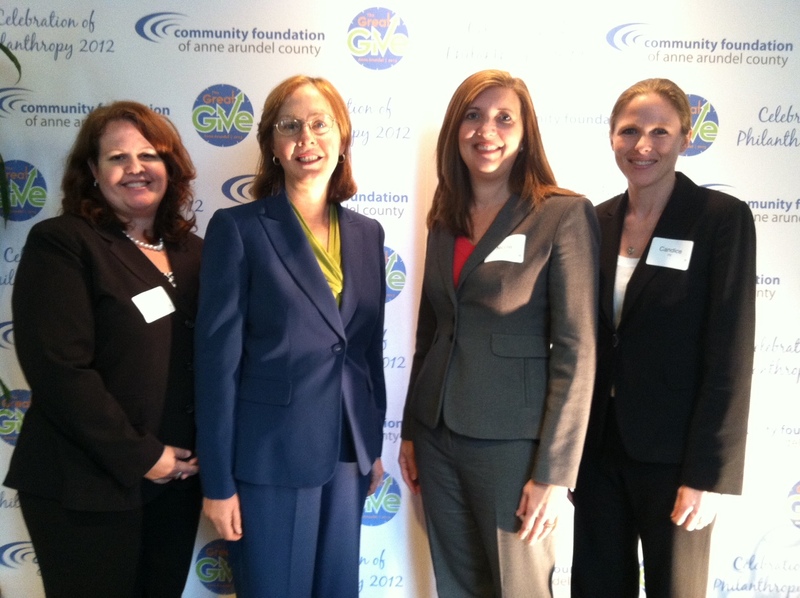 Now in its twelfth year, the Celebration of Philanthropy honors individuals whose generosity as philanthropists or volunteers have strengthened Anne Arundel County’s nonprofit institutions.